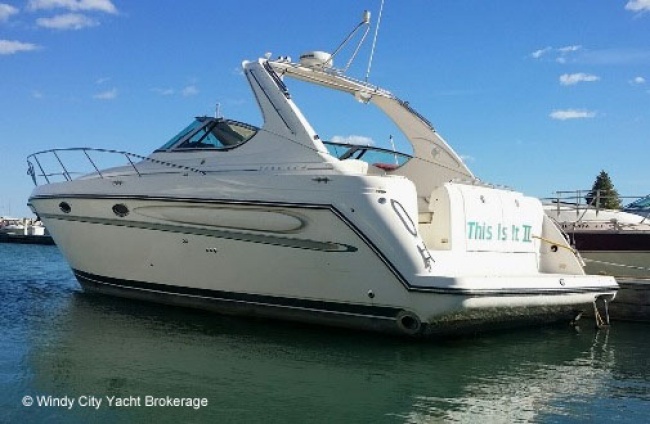 This striking Maxum is a big boat for its 37' designation. This is a big boat for its 37' designation. Cabin headroom is 6' 4". 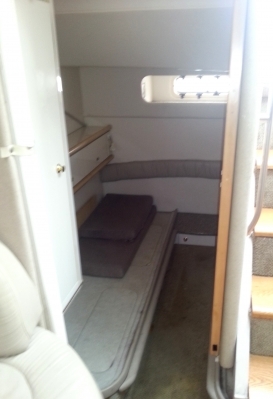 She can sleep 6--2 in the FWD Cabin, 2 in the Mid-berth and two on the Dinette conversion. 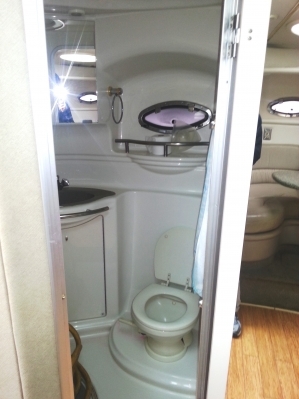 A full Galley and Head with a separate shower. There is a Generator and 2 Heat/AC units. Corian counters and a wood floor in the Cabin make the interior quite striking. 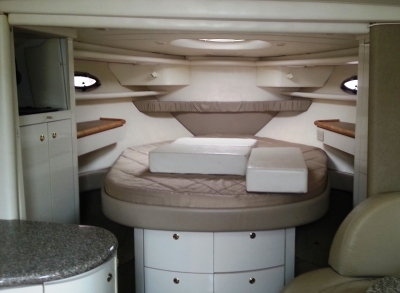 LOA: 39' 3" Beam: 13' Draft: 2' 4"
The Cabin seems very large for a boat this size because of the height, 6' 4", and the open feeling from not having a partition separating the forward berth from the Salon. The wood flooring adds a nice touch. 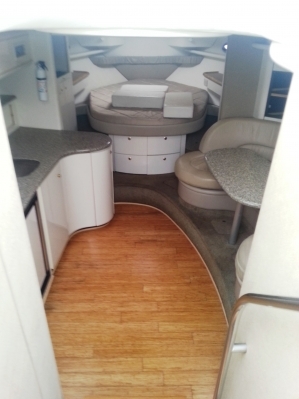 The Galley is to port and very well laid out with a complete set of appliances. 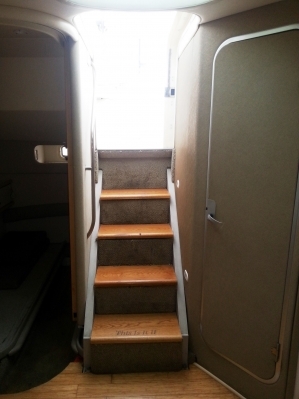 The Head is to Port upon descending the stairs to the Cabin. The shower is totally separate with a curved door separating it. 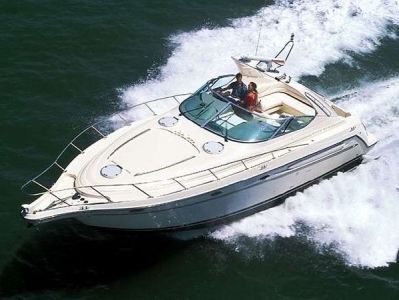 The Maxum 3700 SCR has graceful contours, a spacious cockpit, a lofty helm with a full complement of ergonomic instruments, and a burled wood dash. Comfortable seating on the aft U-lounge seat also converts into a luxurious sunlounge. 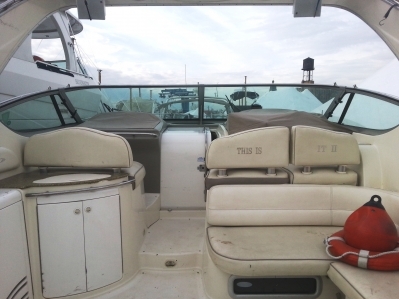 The helm features adjustable, double-wide seating, a Danforth compass, a VHF radio, and a 12-volt outlet. 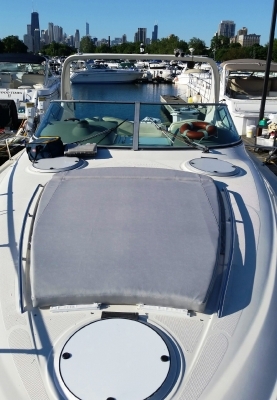 Below the water, the Maxum 3700 SCR has a spacious forward berth with an elegant island queen bed and upholstered headboard. 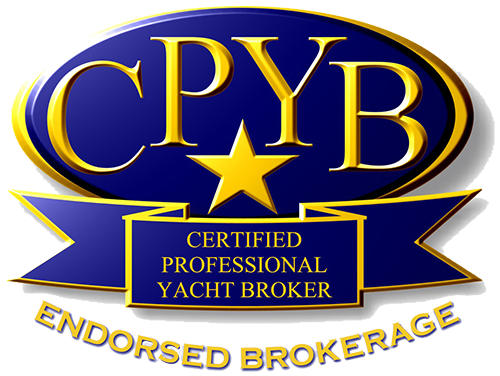 In the mid-berth, sleeping arrangements offer the option of twin berths or a queen berth. 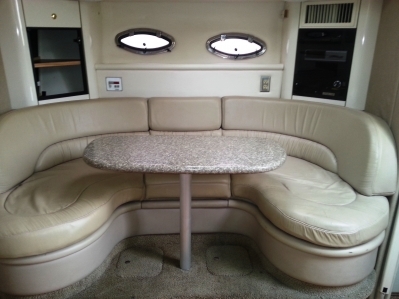 The salon offers a fully equipped galley, and a gracious U-lounge that converts for even more sleeping. The galley features Corian countertops, a Princess two-burner stove, a Norcold refrigerator and hardwood flooring.